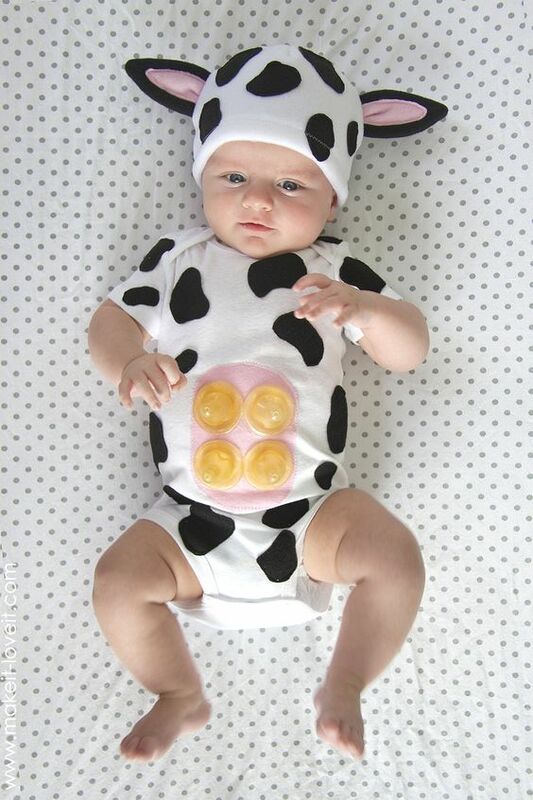 Newborn babies need cute costumes too! Here’s a list of Halloween costume ideas for newborns that are super adorable, but still comfortable and practical for even the newest little ones. 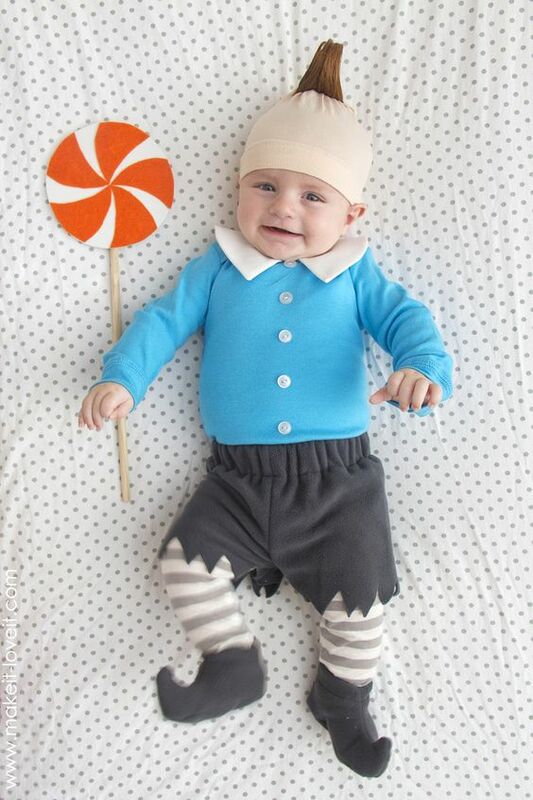 Baby Halloween costumes are just the cutest, aren’t they? I had fun browsing around this summer, trying to come up with an idea for our October baby. With a due date in early October, I knew that we would be out and about with our little one by Halloween – but that with a less-than-one-month-old baby, we’d need to have a pretty simple, comfortable, and practical costume. I ended up deciding on a baby crayon! So cute, right? 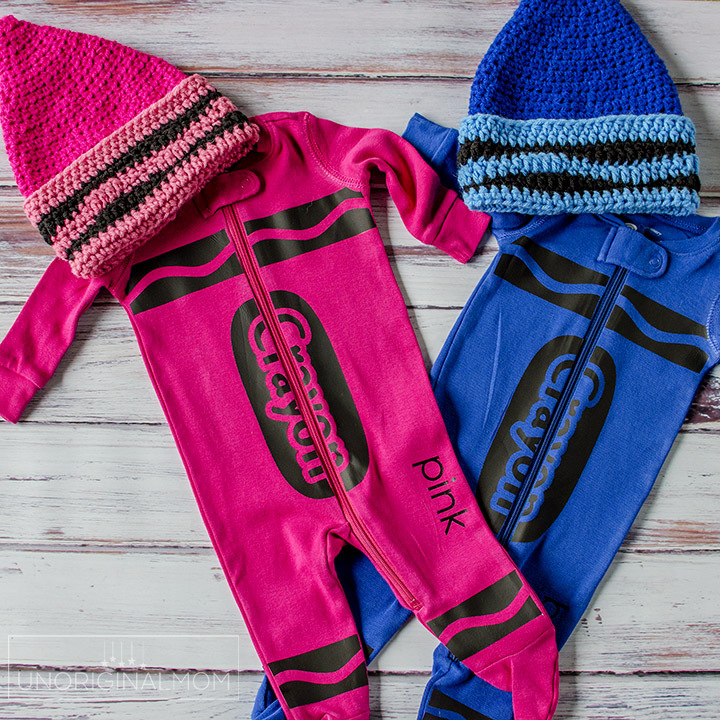 And with the zip-up footie PJs and crocheted hat, it’s pretty much the uniform of a newborn anyway. 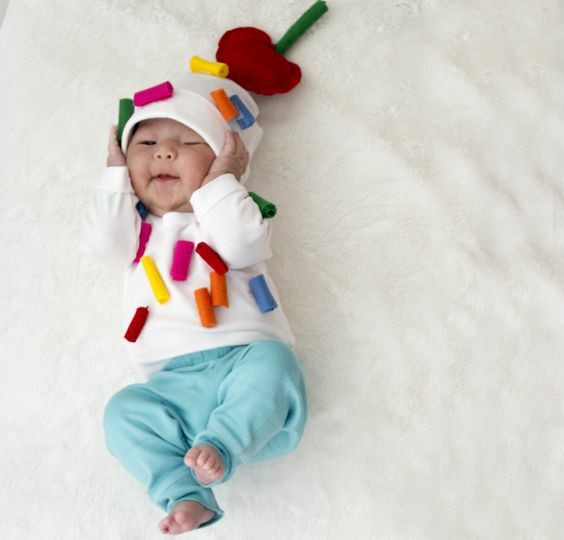 You can see the full post of how I made the baby crayon costume here! 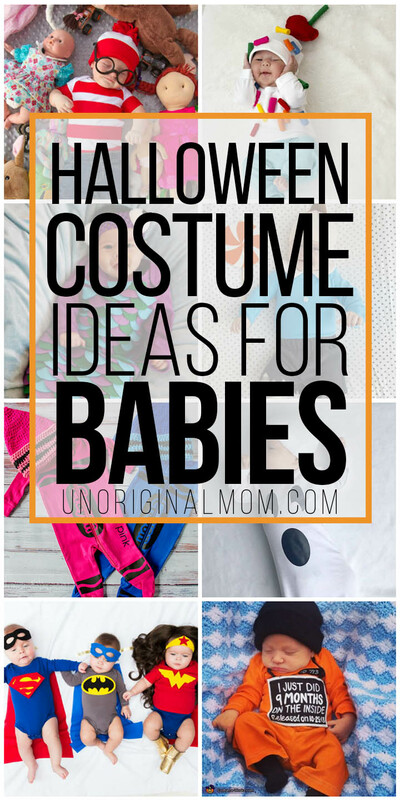 In all of my Pinterest surfing for Halloween costume ideas for newborns, many of the baby costume ideas I came across were actually for older babies – like around 9 month and up, babies who could sit up or even toddle a bit. They had big fluffy tutus or crazy hats or other complicated clothing elements that just aren’t practical for a newborn. I was looking for costume ideas that would work for babies in the 0-3 month range, and still look cute on a sleeping baby strapped into a car seat. So as I was pinning away ideas for my own newborn baby, I decided to take my favorites and put them into one big blog post for you! For you DIY-ers, if you’re looking to make a cute costume for your little one, check out Primary.com for solid colored short-sleeved and long-sleeved onesies, pants, leggings, zip-up sleepers, rompers, dresses, and more! They’re perfect for any costume you can dream up. 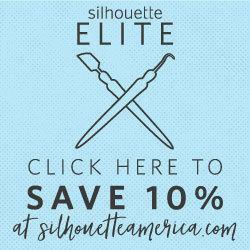 (And they have big kid sizes for big brothers and sisters, too!) No time to DIY? Etsy has some great options! 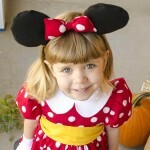 See more handmade baby Halloween costumes on Etsy here. 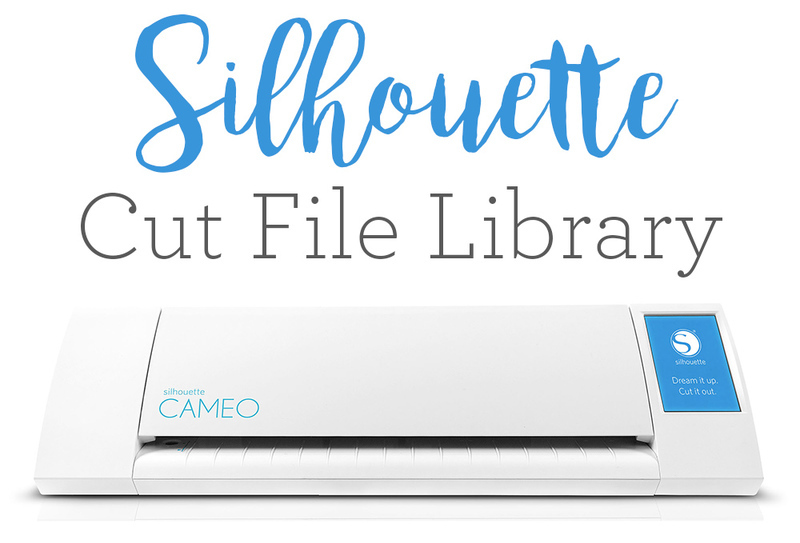 Pinterest etiquette reminder: Feel free to pin the collage title graphic from the top of this post, but if you’d like to pin any individual ideas, please click through and pin from the original source! 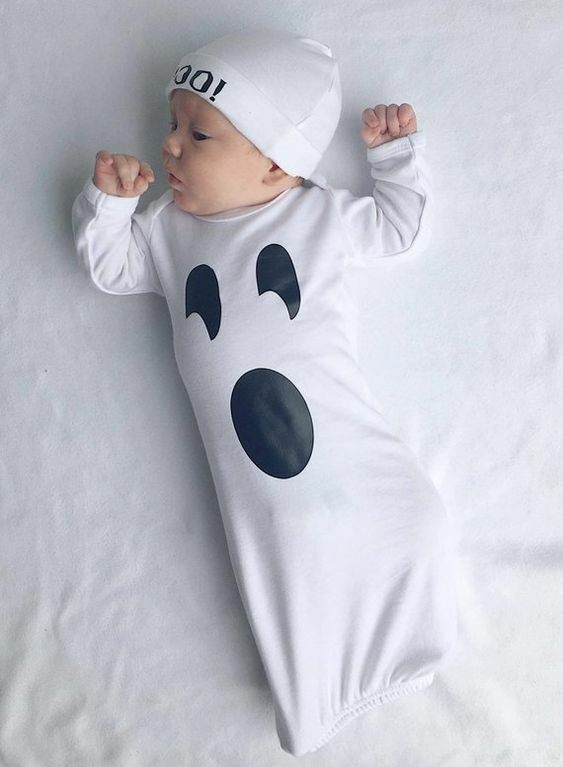 This baby ghost costume would be super easy to make with a white sleep sack and some black heat transfer vinyl! Or you can purchase it from this Etsy Seller. A no-sew baby ice cream sundae costume! Great idea from Primary.com, and they’ve got a video tutorial to help you make your own. 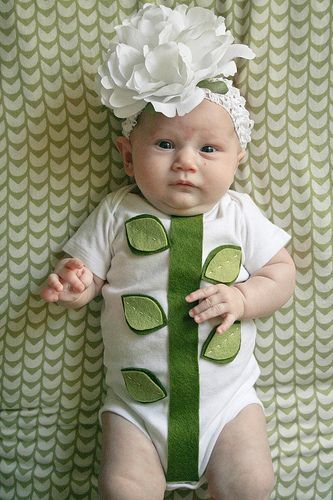 How adorable is this baby flower costume for little girls? Glue a big flower onto a headband and then use green felt on a onesie to make the stem. Source: Flikr. 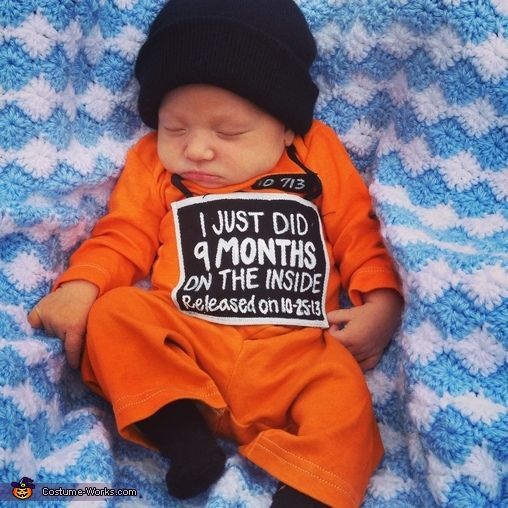 I’ve seen several variations of this baby prisoner costume floating around Pinterest – it’s so funny! Source: Costume-Works. 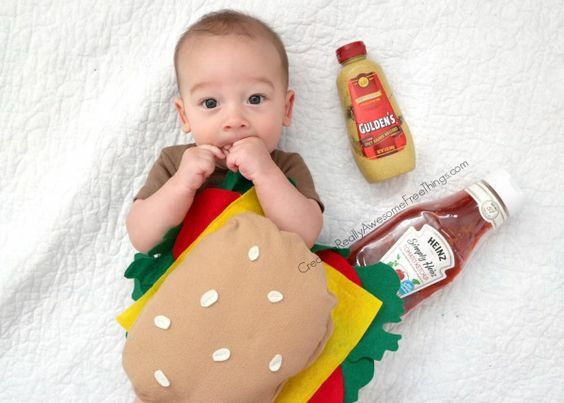 Oh my goodness, it’s a baby hamburger! There’s a full tutorial over at C.R.A.F.T! Another adorable idea & tutorial from C.R.A.F.T. 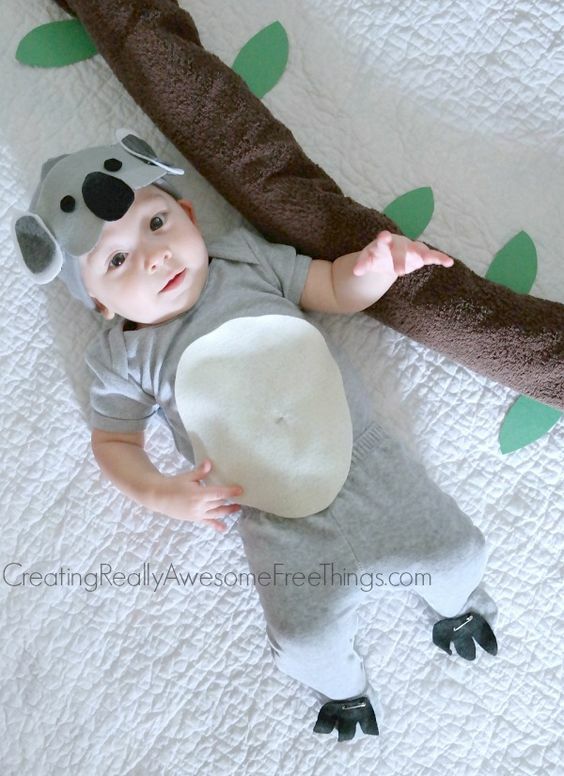 – a no-sew Koala bear baby costume! 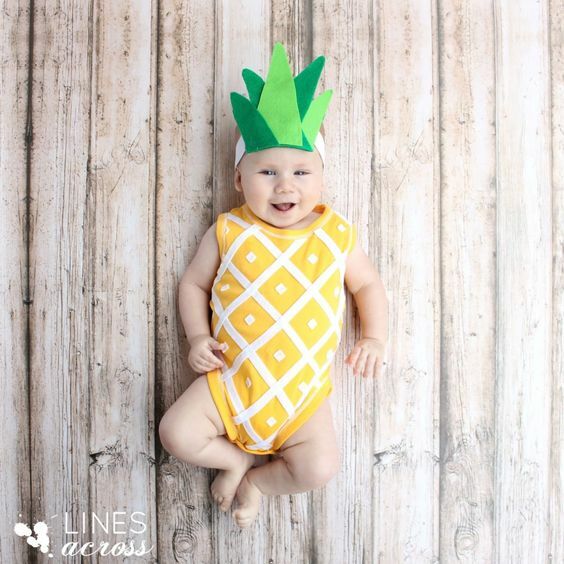 This baby pineapple costume would be super cute for those of you in warmer climates! 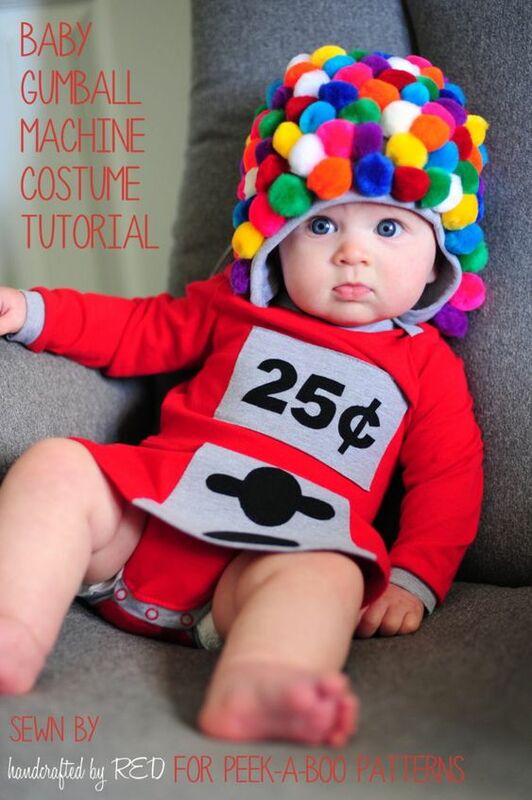 See the full tutorial on how to make this deliciously adorable costume over at Lines Across. 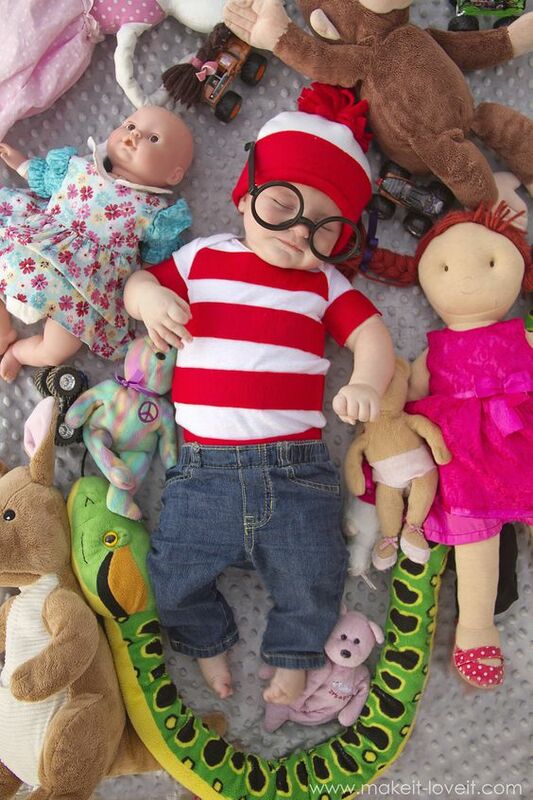 …and this Where’s Waldo costume! 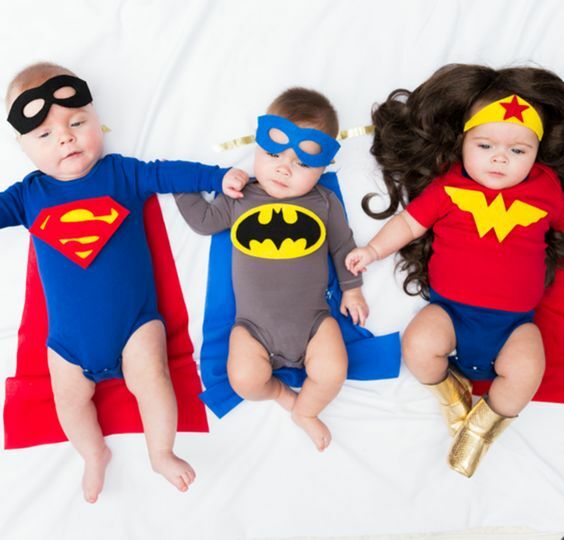 Baby super heroes!! I’m loving these no-sew costumes from The House That Lars Built. 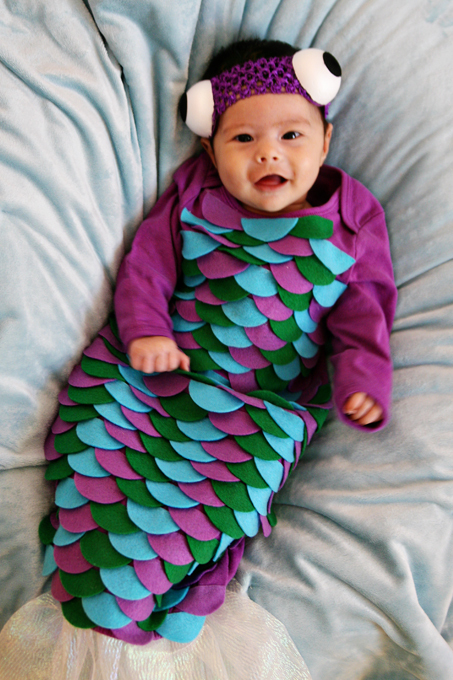 Oh my, this baby fish costume is just precious. You could use whatever colors you’d like to make it more boyish or girly! See Vanessa Craft has the full tutorial. 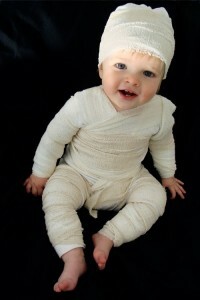 It doesn’t get much easier than this…just wrap up your baby in bandages to be a mummy! Cute idea from Super Lucky Me. 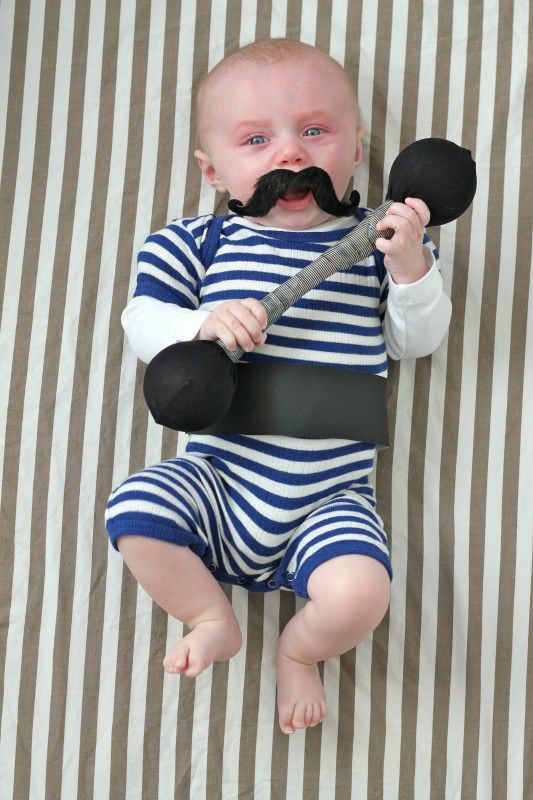 I don’t know if/how you’ll get a fake mustache to stick on your baby, but if you can pull that off, this Baby Strongman Costume from You Are My Fave is sure to be a crowd-pleaser! 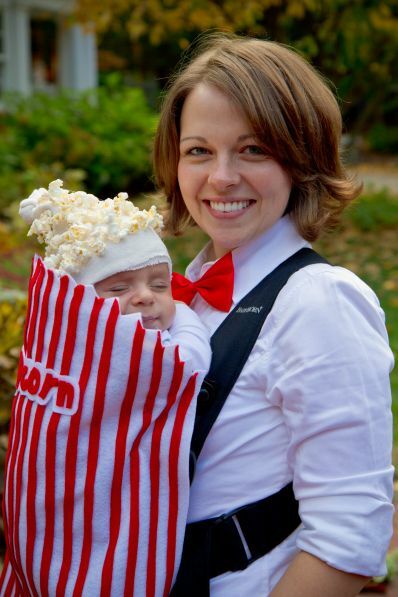 And one last idea, if you’d like to get in on the fun along with your baby…throw on a red bow tie and decorate your baby carrier to look like a box of popcorn! Don’t forget that popcorn hat. What a creative idea from This Place is Now a Home. There you have it! 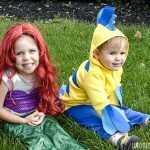 A list of adorable Halloween costume ideas for newborns and small babies, each one cuter than the last. You can’t go wrong with any of them! 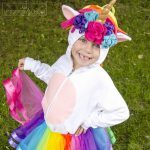 DIY Unicorn Hoodie Costume with Rainbow Tutu – Tutorial!